Blue skies, palm trees and all of the acai—you guessed it team, we’re heading to Hawaii. Specifically, we’re heading to the North Shore of the island Oahu, where you’ll find minimum tourists and maximum chill. 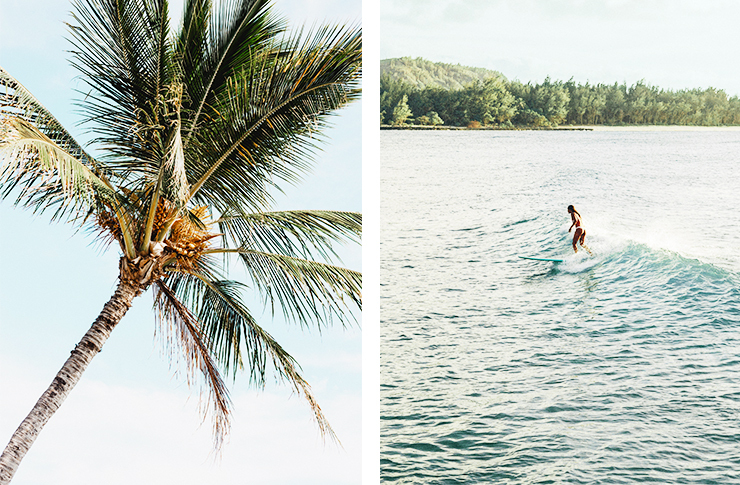 If you’ve dreamed of heading to Hawaii, the North Shore is probably what you’re picturing. Just a short hour’s drive from Waikiki and Honolulu Airport, this little pocket of magic is more than just the locale for the annual Triple Crown of Surfing (although, that alone is epic enough). And don’t get me wrong, I’m a total sucker for Waikiki. But the North Shore is just that little bit more special. 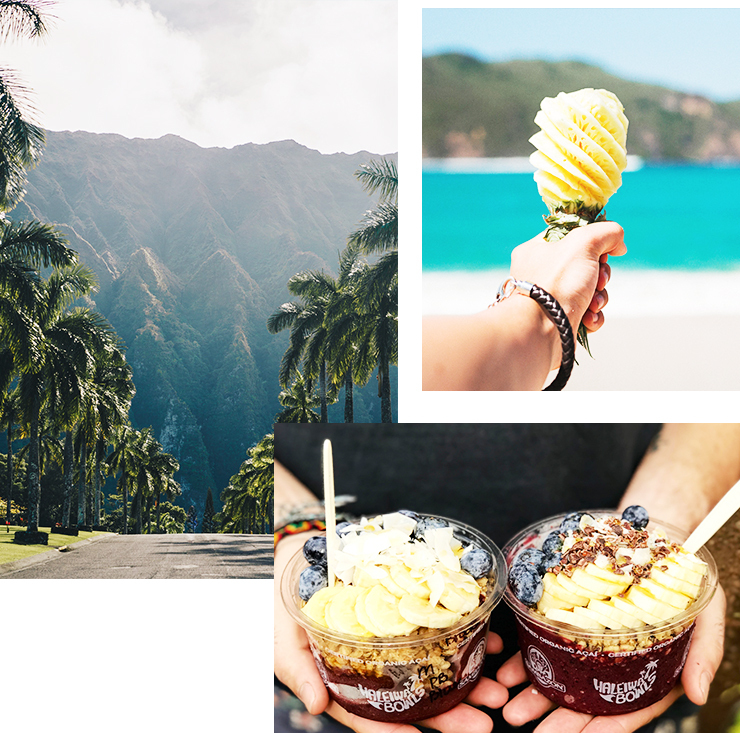 Whether you’re planning a day trip or settling in for a few days, this is how to have the Ultimate 48 hours on the North Shore of Oahu. Before we get started, I have to throw my two cents in about where you need to stay. Personally, I’m a sucker for Haleiwa. It’s the largest town in the North Shore and one that most tourist would have heard of with about three seconds of research—please don’t let this deter you. This place has street-side food stalls and small-town Hawaiian charm in spades. But if you’re after something a bit quieter (like reeeeealllyy quiet), booking anywhere on the coast between Haleiwa and Turtle Bay Resort is a safe bet assuming you’ve rented a car (of course you have—you’re clever like that). The really fun thing about flying to Hawaii from Australia is that you land at around 6am in the morning—looking cute AF from flying through the night, obviously. Congratulations guys, you’ve survived customs and are on your way to paradise. And we don’t even care how cheesy that sounds. If you’ve done any research at all on the North Shore then you would have heard of Haleiwa Bowls and FYI, this will be your first of many bowls from here. I have a love hate relationship with acai if I’m honest—it’s just so damn hard to get right—but these guys nail it. I suggest you choose your own adventure here, and by that I mean order an acai bowl and top it with everything. I love the granola, strawberry, bee pollen, chia, blueberry and coconut toppings because I’m extra. Surely I don’t have to tell you how you’ll be spending the rest of your day as you try to keep your eyes open and avoid jetlag. As far as I’m concerned, there are only two options—head to the beach or drive up the coast and head for the beach. It really depends on how much of a go getter you are. Personally, I’m just walking to the beach, reading my book and parking it for the rest of the afternoon, but I understand if you want to hit up Banzai Pipeline or Waimea Bay. Either way, please factor in some serious chill time. If you do decide to head a little further up the coast, then you must hit up the Kahuku fruit stand along the way. You can either stock up for an entire week or grab a few of the pre-cut fruit bags—these are filled with colourful fruit like star fruits, fresh chunks of coconut flesh, mango, dragon fruit, banana and so much more. And because you’re in Hawaii, grab a drinking coconut while you’re here. 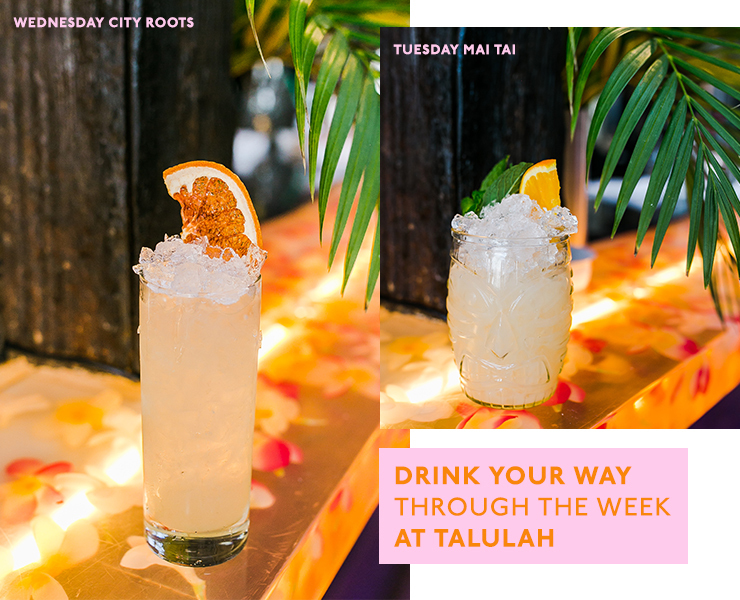 One thing Hawaii is known for is their fresher than fresh fish, so it’s only right that you go all out on this one. My pick for your first night is to wander up to Banzai Sushi in Haleiwa—you might have to wait for a table, but you’re on Hawaiian time now so just chill out. Banzai only uses sustainable seafood and you need to take a seat on the floor (yep), order either a cold beer or crisp glass of white and savour every single bite of your seared ahi furikake served with micro greens and a shu shoyu dressing. Actually, just order all of the sashimi. It doesn’t matter how relaxing my holiday is, I’ll never give up my cup of Joe every morning—it’s one of my favourite parts of the day. You probs know that coffee in America is often rubbish, so I suggest you hit up Coffee Gallery—they do a mean French press (read: freaking awesome) and their latte isn’t so bad either. Now onto breakfast. Sure you could just pick up a coffee at The Beet Box Cafe but I’d prefer you to take advantage of their large juice or tea menus. This place is an organic cafe serving up everything from big fat breakfast burritos to Thai tacos and 10 different supercharged smoothies. I’m not sure whether I love this place more for the great food (seriously, it’s so great) or the majestic signed print of a reclined Lionel Richie taking pride of place behind the counter. Let’s just call it a tie. Tonight, you’ll be all about the chill. Mainly because there’s a big beautiful beach (actually, many) on the North Shore and you’d be crazy to not buy a six pack and a feast from Ray's Kiawe Broiled Chicken to take back to the beach for sunset. Ray’s looks like a pop-up chicken BBQ but it’s open every single weekend and it’s damn good. Grab a rotisserie chook (fresh off the coals if you were wondering), grab all the sides, and since it’s conveniently located in the carpark of the Malama supermarket, grab yourself that cheeky six pack we mentioned earlier before heading back to the car. And just like that, you’ve just spent 48 deliciously relaxing (and, you know, actually delicious) hours on Oahu’s North Shore. Now do yourself a giant favour and hop over to Maui for a couple of days. Thank us later. Heading to Siem Reap? Here is your itinerary.